I sure love my sweets, but not any old sweets – healthier takes on them. I’m not much of a refined sugar friend and I try to keep white sugar to a minimum in my diet. I love a sweet that I can indulge in that also is good for me. You who follow me on instagram knows that I’ve been experimenting with some vegan ice cream creations lately. I finally got my recipe just perfect. 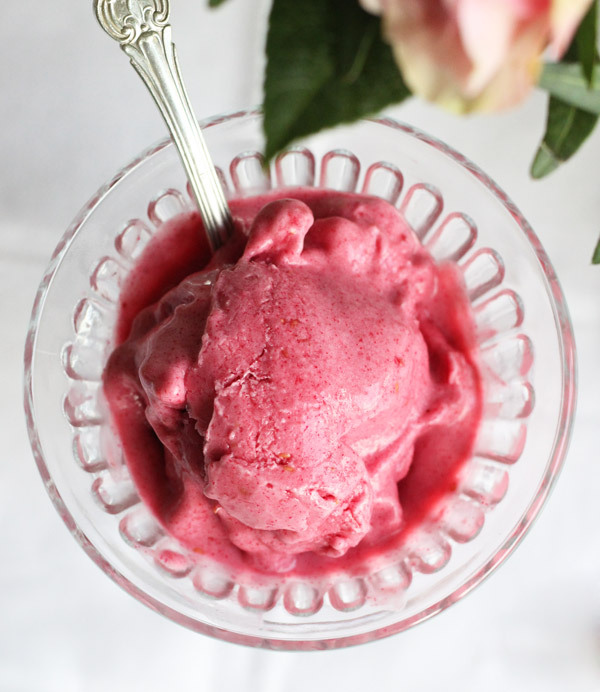 This is my vegan raspberry and rose ice cream which is creamy, velvety smooth without any refined sugar. 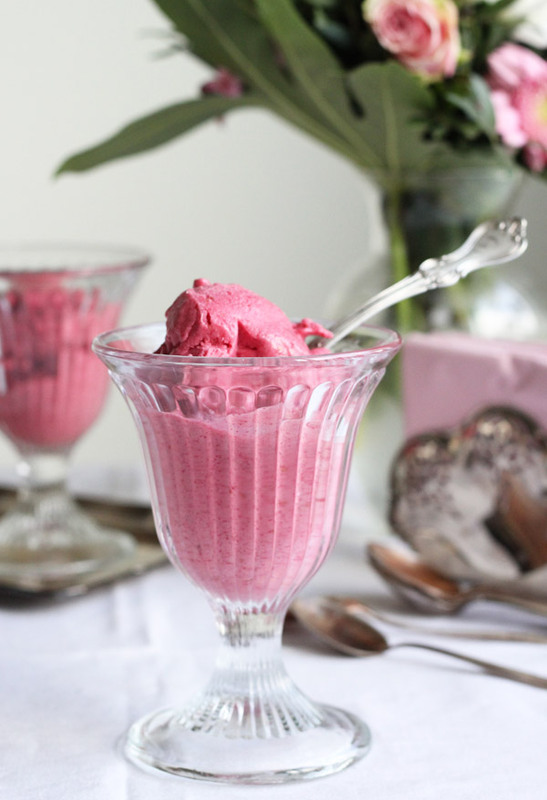 It’s also a gluten free and soy free vegan ice cream recipe that does not require an ice cream maker. Add the frozen banana pieces to a food processor. Blend until the bananas almost look like grated cheese. Add the rosewater while the food processor is still running through the small opening in the lid. Carefully add coconut milk, approx. tablespoon by tablespoon while the food processor is still running. The consistency should be smooth and tough. Can be frozen but becomes quite hard, so let the ice cream defrost a bit prior to serving if you are going to freeze it.